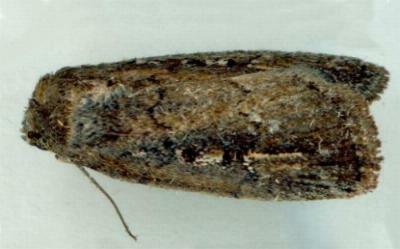 The adult moth of this species has grey-brown forewings each with a faint pattern including two dark marks near the middle. 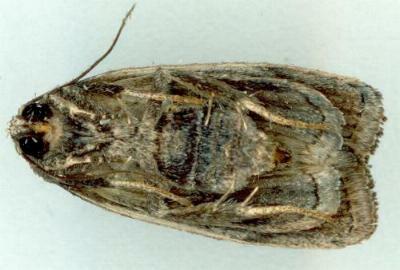 The hindwings are off-white with dark veins. The wingspan is about 2 cms. 1886, Part 4, p. 393, No. 19.